Fresh off our insanely successful Two Year Anniversary session, we’re back at it October 26th at the Bernal Heights Library with stories starting at 7:00PM. The lineup is shaping up real nice, and there is still space for one more. 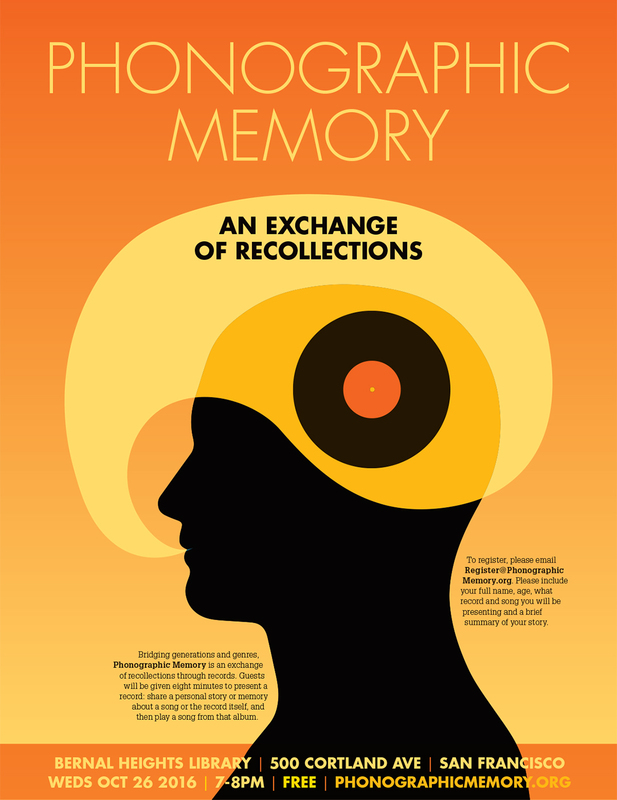 If you are interested in presenting shoot us a line at Register@PhonographicMemory.org.